This might be the first look we have at the new logo in the C8, which changes with every new model. Sources claim this will also appear on the gauge cluster when the door opens and infotainment system boots up. It only varies slightly from the C7 but I like the new look. Not a bad start up screen but I was hoping it would be unique in a way but at the same time carry on typical Corvette logo designs we're all familiar with. Chevrolet has more work to do but I guess as long as the engineering is on point then this stuff will be easily forgiven. 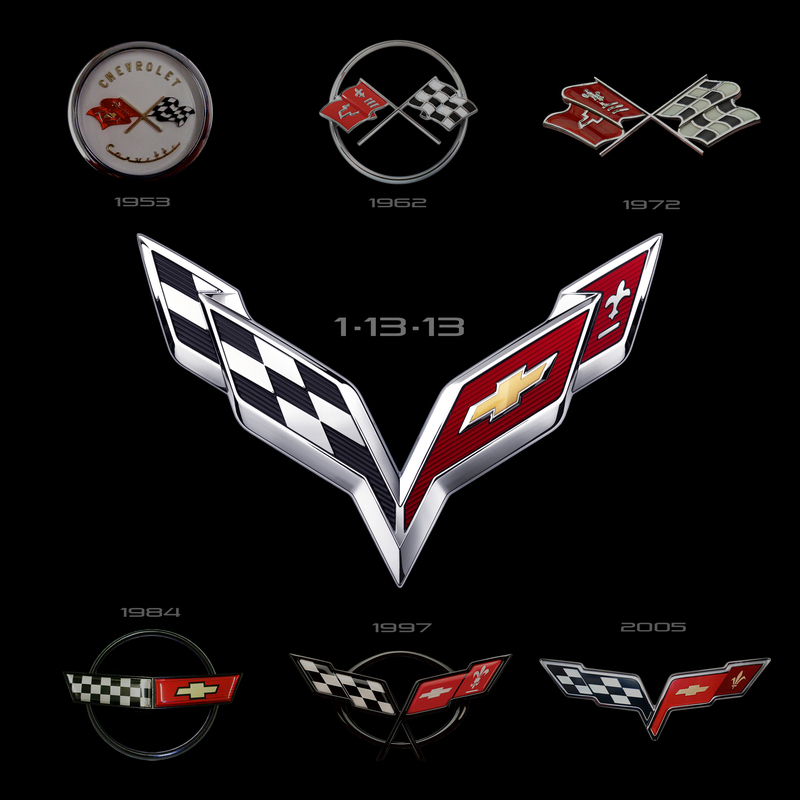 Here's a quick look at how this logo has evolved over the years. Revisions have been pretty minor since the early 2000's but I like the changes that they have made with this latest design. Was hoping that we would also hear the car starting up, but I guess we're stuck waiting on that. I like the new look and its subtle enough that it shouldn't anger the loyalists. I do wonder how many current C7 owners even have an interest in this new vet, because there is already such an established aftermarket scene for that car. Not to mention the current deals that can be had on brand new models.